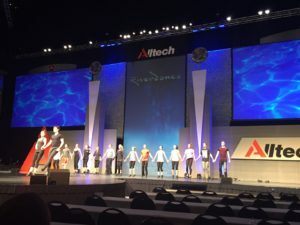 Riverdance performed in Lexington on Wednesday, May 25, as part of One: The Alltech Ideas Conference. Photo via Twitter (@AlltechLA). It’s not every day that you get to see Riverdance in Lexington. So the last two days have been extra special with the chance to watch a rehearsal and a private performance at One: The Alltech Ideas Conference. On Tuesday, local Irish dancers, including students from Artworks at the Carver School, where Bluegrass Ceili Academy will be teaching beginning this fall, were invited to attend a dress rehearsal by the cast. 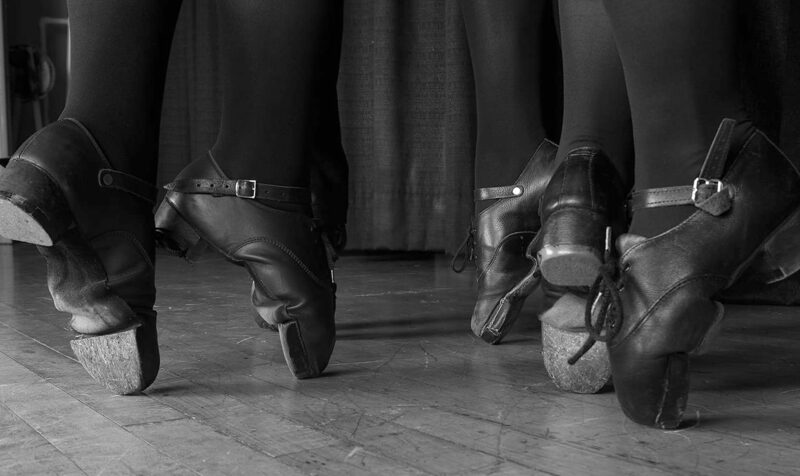 While many of the Artworks dancers have studied ballet, jazz or tap, this was their first experience with Irish dance. Local Irish dancers, including some future Bluegrass Ceili Academy students, attended the Riverdance rehearsal on Tuesday, May 24. And what better introduction to Irish dance than to see Riverdance in Lexington! Following the rehearsal, many of the cast members came up to speak with the young dancers and take photos with them. The smiles on their faces — both the youngsters and the cast — were my first reminder of what Bluegrass Ceili Academy is about — creating a community of dancers and families who appreciate the art and tradition of Irish dance, while supporting each other. The second reminder came during this morning’s event. In his opening remarks, Riverdance associate director and lead dancer Padraic Moyles spoke on the vision and adaptability that made the show the lasting presence it is today. What a great opportunity it was to see Riverdance in Lexington — just as Bluegrass Ceili Academy is preparing to welcome its first students this fall. Maybe, just maybe, some of those students who saw the rehearsal will have the same reaction I did when I first saw Riverdance in 1997 — they’ll sign up for Irish dance classes and still be dancing nearly two decades later. Beginning in September 2016, Bluegrass Ceili Academy will be offering Irish dance classes in Lexington through Artworks at the Carver School. Be sure to connect with us via email or social media to keep up to date on registration.